Thanks for not bailing on me in the rain! Just finished up my third week of the Hansons Marathon Method program with an 8 miler in the rain. It was 81 degrees so the cool rain was welcomed but the squishy sneakers were a bit of a drag. I kept my “easy” pace 9:24 and resembled a wet rat returning home. I’m so glad Perry was waiting for me on the porch, coffee in one hand and camera in hand (Not really!!) 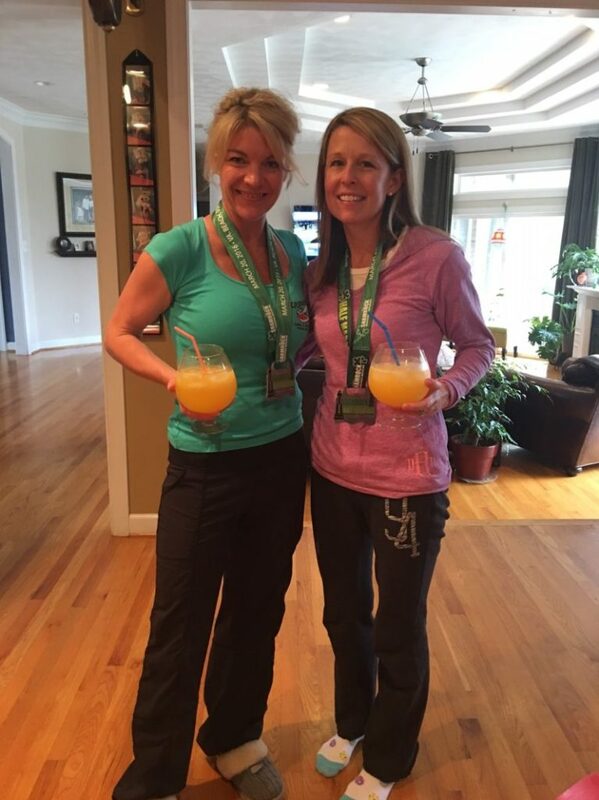 But I am truly glad that Danielle didn’t bail on me because of the rain and hung in there for a very wet 5 miles with me, makes a big difference when you have someone to chat with for a few miles considering I put in 48 that week, I’ll take the company when I get it! As much as I cherish my alone time, I also appreciate the time I get to spend with my girlfriends that I can relate to; having daughters the same age, love of wine and a goal to enjoy life every day. The laughs and cries are approaching an uncountable number and I’m eternally grateful for all of them. And I don’t want to forget Perry, thanks for the towel by the front door! 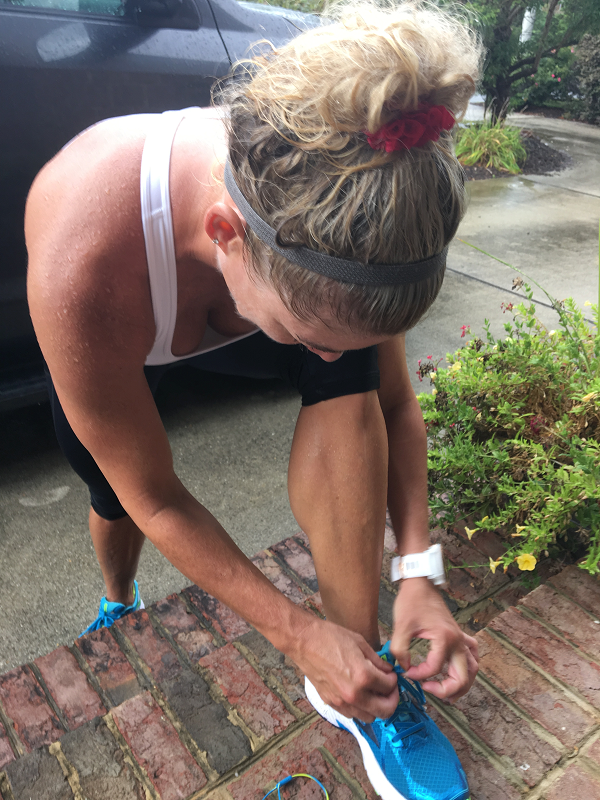 Follow my blog at Stacy Says to read more about my journey to the TCS NYC Marathon.